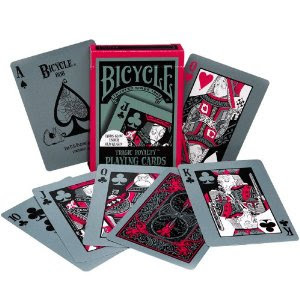 These Bicycle skull-and-bones cards feature skulls just on the backs of the cards. The face up cards are normal, and the front of the pack is normal too, depicting a woman standing in a spade. Each deck comes with two Jokers. This design has been around since the 1800s but isn't very common to run into at your average neighborhood poker game. You can find these cards on Amazon also. "Tragic Royalty" is another weird deck of cards from Bicycle. Check the seller's added pictures for the unusual faces of the cards and what they look like under blacklight. 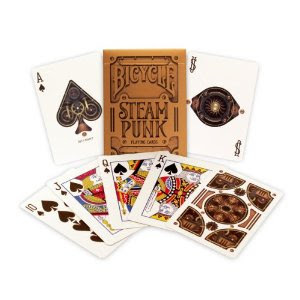 Ever hip to current trends, Bicycle also now makes steampunk playing cards. Bet I won't see these at my neighborhood Target. 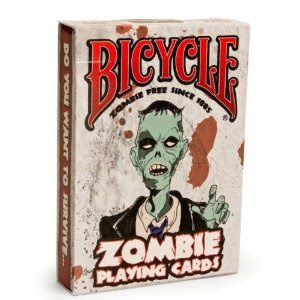 Likewise, they jumped on the bloody zombie bandwagon and produced this deck of zombie playing cards. (Also available on eBay). 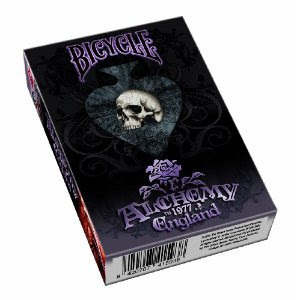 Alchemy Gothic 1977, a revered dark/goth shop, has their own tribute deck of playing cards. 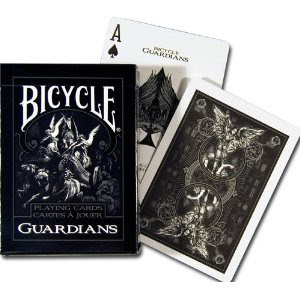 I'm not sure if the dark beings on the Guardians playing card deck are meant to depict angels, gargoyles or something else? 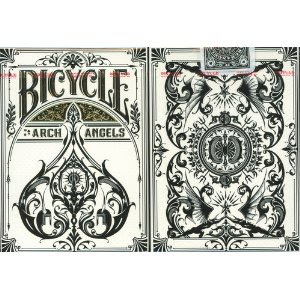 Check out the beautifully creepy damask Archangels deck. Stunning! 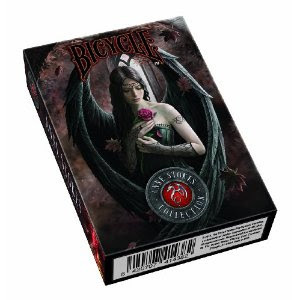 This is a gorgeous Anne Stokes gothic fantasy deck, but I think the lovely dark artwork on the front of the cards would be too distracting to use in an actual game. 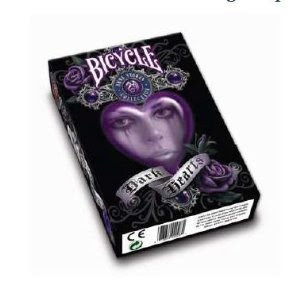 There's also a sequel to the Anne Stokes deck, called Dark Hearts.